When it comes to buying big items for Blake such as his travel system and his cot our go to place is Mothercare. However we've rarely purchased toys and have never actually brought any clothing from there. I was recently contacted and asked if I was interested in choosing some items from Mothercare's website. I thought it would be a prefect opportunity to see what their clothing range is like. I also have been eyeing up their Freddy the fish bubble machine for awhile after they had one at a local sensory class that Blake and I go to. The Freddy the fish bubble machine is a fish shaped machine that blows out hundreds of magical bubbles. Sit Freddy in the garden and watch the bubbles float around in the breeze or create a fun and bubbly atmosphere at parties. All you have to do is make Freddy drink some bubble liquid (sold separately) and switch him on to start the fan up. The bubble wands will then rotate releasing an array of bubbles. The machine will need 6 AA batteries (not included) and retails at £16. The Machine is not suitable for under 3 years old but feel that this would be fine as it will be used with supervision and out of Blake's reach. Mothercare also have a Flora the fish bubble machine which is in a lovely shade of pink. 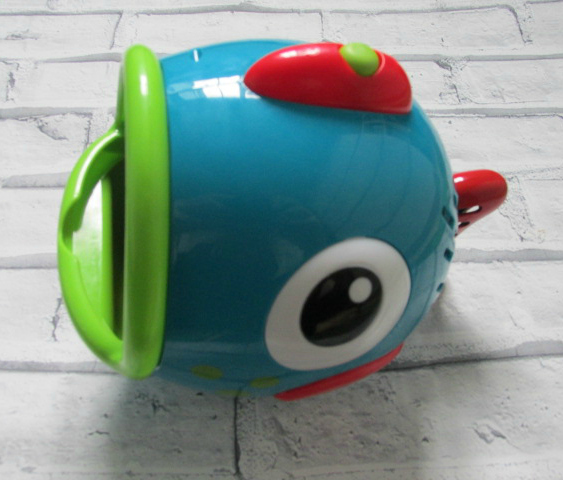 The Freddy the fish machine is a lovely and colorful blue shade with a touch of green and red. For clothing I picked out the camera graphic top which is a gorgeous shade of blue. The short sleeve top features a cute camera hanging mock design. Which looks great for mixing and matching with shorts, joggers, jeans and chinos. The top is made from soft cotton and ideal for everyday wear. I really love the soft material of this top and found it to be of high quality. I picked a size 18-24 months as this is the size he is currently in and found it to be very roomy so should last him awhile so the perfect fit. The top is also great value for money at £5. As the weather has been lovely recently Blake has been living in shorts so I teamed this cute top with his navy shorts which go together perfectly. The other item of clothing I picked out was this cute check shirt which is suitable for everyday and smarter occasions. For an everyday casual look pair with jeans or denim shorts and then for smarter occasions pair with a pair of chinos. The shirt just like the other top is made from soft cotton and is of amazing quality. The shirt has a button opening for easy dressing and on the shirt pocket there is a cute palm tree emblem. I also picked this out in 18-24 months and found the sizing like the other top to have plenty of room for him grow. As with the other top I paired this shirt with jeans as yesterday was much cooler than it has been recently. Again the top is also great value for money and is £8. Have you purchased anything from Mothercare recently? Have you checked out their clothing range? or maybe you want I'd love to know. Oh, Freddy the fish looks awesome! I'll have to seek him out for my niecelets. I always purchase the Little Bird range from Mothercare. The camera t-shirt is very cute. I love that T Shirt what a great range they have. Oh my gosh i have to get that bubble machine! Does it require a lot of cleaning or is it fairly low maintenance? My little one loves bubbles! I haven't shopped in Mothercare but I'm sure I will when I have kids! 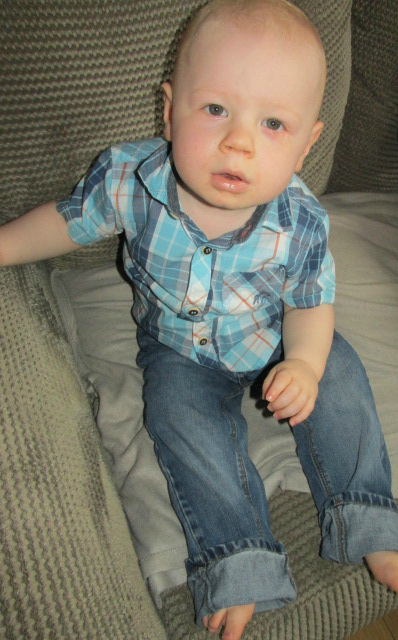 I love Mothercare, particularly for their clothes! I'll have a brand new niece or nephew soon and will definitely be paying a visit for gifts. We have the bubble machine too which is greatly loved! Lovely items here. Mothercare is my go to shop for all things baby. I could do with that bubble machine for my little boy, he loves bubbles.